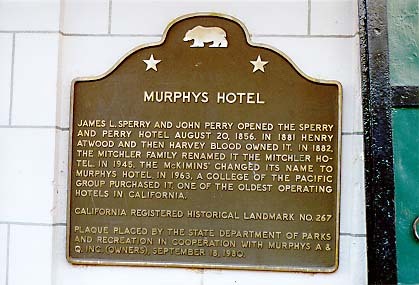 James L. Sperry and John Perry opened the Sperry and Perry Hotel August 20, 1856. In 1881 Henry Atwood and then Harvey Blood owned it. In 1882, the Mitchler family renamed it the Mitchler Hotel. 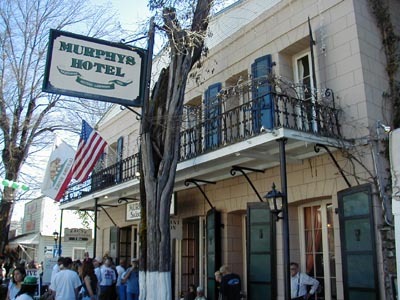 In 1945, the McKimins' changed its name to Murphys Hotel. In 1963, a College of the Pacific group purchased it. One of the oldest operating hotels in California. 457 Main at Algiers St, Murphys.